Equivalent in quality to new equipment and fully warranted. Our rebuild process insures that we deliver a current technology, new equipment performance machine that is built to your exact specifications. We can accomplish this by beginning our rebuild process from a disassembled frame and maintaining the process from a new equipment perspective. Rebuilt cartoners can be your no-risk solution for limited budget/quick delivery projects. 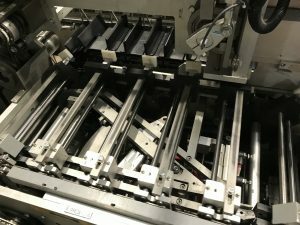 Whether we start with your cartoner or ours, at Ultra Packagaing we have years of experience providing an alternative to a “new” without compromising quality or technology.